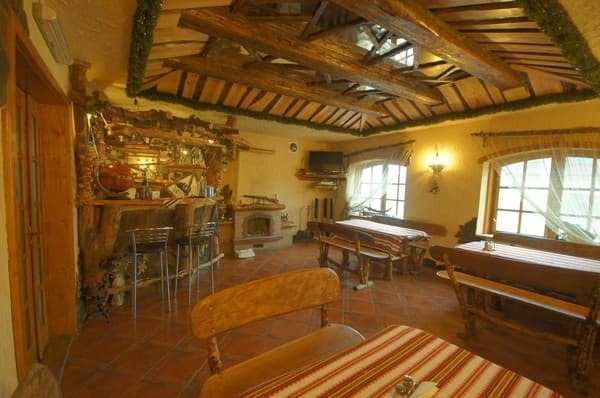 Mini hotel "Zirka Karpat" is located in a picturesque place, only 14.2 km from the ski resort "Dragobrat". 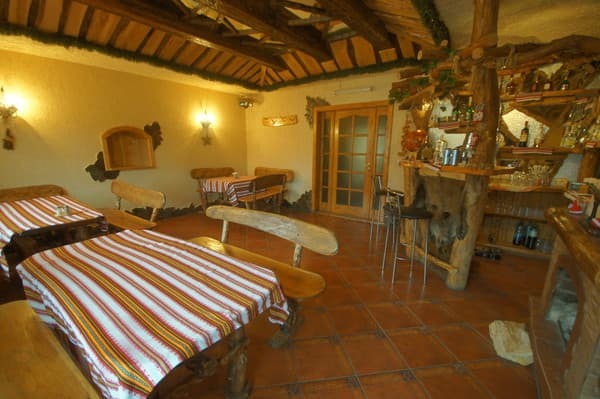 The hotel has 5 rooms, which are decorated in a modern style with elements of the Carpathian decor. Hot and cold water is supplied around the clock. The choice of guests has rooms with shared facilities and individual bathrooms. 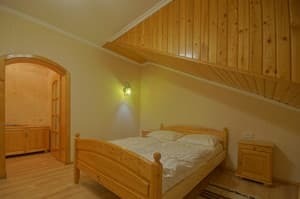 Free Wi-Fi is available in the Zirka Carpathian Mini Hotel. A brazier is available on request. There is a room for storage and drying of ski equipment. On request, guests can arrange excursions, hiking in the mountains, picking mushrooms and berries - for an additional fee. For residents who come by private transport, private parking is available. 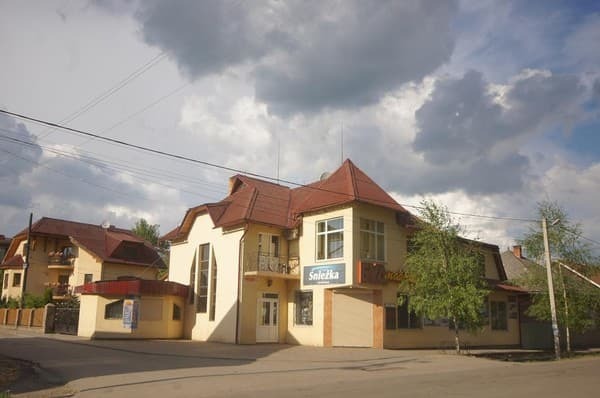 In walking distance from the mini hotel "Zirka Carpathians" there are grocery stores, cafes. The distance to the railway station Yasinya is 2.5 km, to the ski resort "Bukovel" is 17.5 km. Description of the room: Double room with twin beds. Amenities are shared on the floor. Description of the room: Standard double with two separate beds. 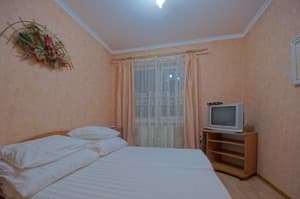 Description of the room: Standard double with a large double bed. Description of the room: Triple room with a large double bed and a sofa. Чисто. Тепло. Затишно. Готель над дорогою, але шуму від транспорту не було. Господар позитивний. Отель находиться прямо возле главной дороги(то есть, найти даже ночью не сложно) и недалеко от центра, несмотря на то, что приехали мы поздно(после 22:00) нас встретили и, показав что где, быстренько поселили. В номере тепло и чисто. In walking distance, cafes, grocery stores. In the central part of Yasinya. To Yasinya by train Lviv-Rakhiv or Ivano-Frankovsk (Kolomyia) - Rakhiv. By bus Ivano-Frankivsk (Kolomyia) - Mukacheve (Rakhiv, Solotvyno, Khust). By car on the highway "Ivano-Frankivsk-Mukachevo" (Н-09) From the center of Yasinya in 5 min. 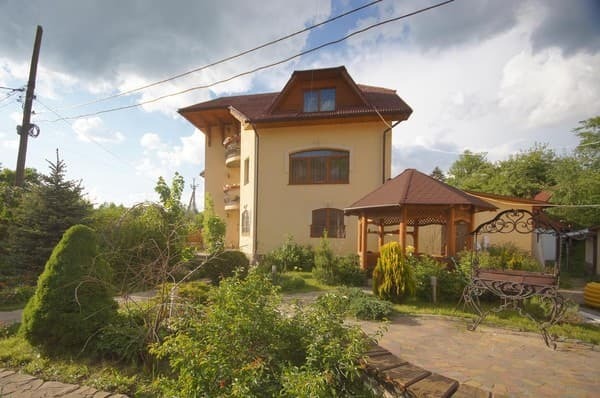 walk to the mini hotel "Zirka Carpathians". If possible, you can arrange transfer of owners. (Preliminary agreement).